On 31 July 1948, India played their first official international, losing 2-1 to France in the first round of the Olympics. Football in India dates back to 1889 and the national governing body, the All India Football Federation, formed in 1937. 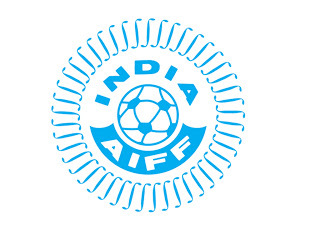 While the AIFF created a national team to tour neighboring countries, India did not join FIFA until 1948, making that summer's Olympics their first official tournament. They met France in the first round at Cricklefield Stadium in Ilford, East London in front of a crowd of approximately 17,000. The day was wet and cold, which proved to be a problem for the Indian players, most of whom were playing barefoot, the dominant style in India at the time. Nevertheless, they kept the game close, despite missing two penalties. After France took the lead with a 30th-minute goal from René Courbin, India's Sarangapani Raman (who had missed one of the penalties) equalized in the 70th minute, scoring the national team's first official goal. But France pulled ahead again in the 89th minute with a goal from René Persillon to claim the 2-1 victory. 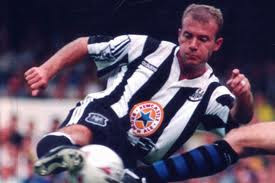 On 30 July 1996, Newcastle signed 25-year old striker Alan Shearer from Blackburn for a world record fee of £15M. Shearer, who was born in Newcastle, started his career with Southampton, where he scored 43 goals in 158 appearances across all competitions from 1987 to 1992. But he blossomed at Blackburn, claiming the Premier League Golden Boot in the 1994-95 and 1995-96 seasons, with Rovers winning the league in 1995. He scored over thirty league goals in his last three years there, for a four-season total of 130 in 170 appearances. His scoring prowess attracted the attention of several clubs, including Manchester United. But shortly before he was set to move to Old Trafford, Newcastle manager Kevin Keegan persuaded him to join Newcastle. He maintained his form at St. James's Park, collecting another Golden Boot for the 1996-97 season with 25 league goals. But injuries and a succession of managerial changes hampered his effectiveness, resulting in uneven production from him over the next several years (he crossed the 20-goal barrier in the league only three more times in his ten seasons at Newcastle) and he retired in 2006. Still, his Newcastle total of 206 remains the most of any player in club history. Shearer returned to Newcastle as manager in 2009, taking over from Chris Hughton for the last eight games of the season in a bid to save the club from relegation. He was unable to prevent the drop, however, and left at the end of the season. Labels: Alan Shearer, Blackburn Rovers F.C., Newcastle United F.C., Sunderland A.F.C. On 29 July 2008, FIFA suspended Ethiopia from international competition, ending their World Cup qualification campaign after only four matches. The decision was a political one, stemming from the Ethiopian Football Federation's removal of their president, Ashebir Woldegiorgis the previous January. Although the EFF cited the national team's poor performance as the basis for their decision, FIFA refused the recognize the decision and ordered the federation to work with Dr. Woldegiorgis to "normalise the situation of the EFF and to bring back unity within the Ethiopian football community." They also established a "roadmap" of events intended to guide the process. But by July 2008, the EFF had failed to meet the requirements set by FIFA, so the governing body issued its suspension, effective immediately. Ethiopia, who were four matches into the qualification campaign for the 2010 World Cup, were forced to withdraw. They also missed the 2008 CECAFA Cup for countries from East and Central Africa. The suspension lasted for one year, with FIFA lifting it in 2009. 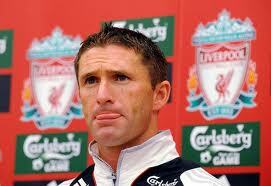 On 28 July 2008, Tottenham confirmed the £19M sale of striker Robbie Keane to Liverpool, but his stay at Anfield lasted barely 6 months. Keane had already been well-traveled, playing for Wolves (1997-99), Coventry City (1999-2000), Inter (2000-01), Leeds United (2001-02) before joining Spurs in August 2002. He had a very successful six years at White Hart Lane, scoring 82 times in 197 league appearances and helping to victory over Chelsea in the 2008 League Cup Final. His success drew the attention of Liverpool, who pried him away from Spurs. The four-year deal included £1.3M in performance incentives that raised the total value to a potential £20.3M. Upon arriving in Liverpool, Keane announced that he had "been a Liverpool fan all [his] life" and that the move was "a dream come true." But it was a short-lived dream, as he failed to replicate his previous form. After only five goals in nineteen league appearances, Liverpool sold him back to Spurs for £12M. He later went on loan to Celtic and West Ham before joining the LA Galaxy in 2011. Labels: Liverpool F.C., Robbie Keane, Tottenham Hotspur F.C. 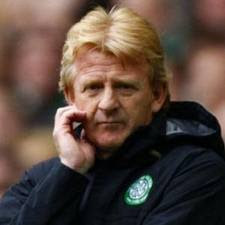 On 27 July 2005, new Celtic manager Gordon Strachan's tenure started on a low note with a record loss to Artmedia Bratislava in Champions League qualification. Strachan arrived from Southampton earlier that month, replacing Martin O'Neill. Celtic had finished as runners-up in the league in O'Neill's final season, which put them in Champions League's second qualifying round for 2005-06. There, they met Slovakian league winners Artmedia for what was the first competitive match of Strachan's time at Parkhead. Playing at the Tehelné Pole Stadium in Bratislava, the former European Cup champions suffered an early setback when they lost striker Chris Sutton to injury. But his absence provided no excuse for the Celtic defense, who surrendered an easy tap-in goal to Juraj Halenár in the 43rd minute, giving Artmedia a 1-0 lead at the break. Midfielder Blažej Vaščák doubled the hosts' lead in the 57th minute with a nearly identical goal, then Halenár struck again in the 76th minute with a blast from almost 25 yards out. Two minutes later, Martin Mikulič extended the lead to 4-0 by beating Celtic keeper Artur Boruc with a low ball at the near post. Halenár then did the same in the 89th minute to seal the 5-0 victory--Celtic's worst loss in European competition. The Glasgow side won the second leg 4-0, but lost 5-4 on aggregate to exit the competition. Artmedia, led by manager Vladimir Weiss, eventually reached the group stage where they finished third behind Inter and Rangers. Strachan remained with Celtic for four seasons, winning three league titles, one Scottish Cup, and two Scottish League Cups. On 26 July 1948, Olympic football kicked off in London, ending a 12-year hiatus imposed by the outbreak of World War II. The last Olympic games were held in Berlin in 1936, with Italy taking the gold medal in football. Tokyo was scheduled to host the 1940 games, with London following in 1944. But the eruption of World War II in 1939 forced the cancellation of the games for the duration (some countries suspended league play as well). When the war ended in 1945, the Olympic organizers resumed their plans for a 1948 tournament and chose London as hosts, foregoing Tokyo because of Japan's role in the conflict. Although opening ceremonies were not until 29 July, the football tournament started three days early with a four-team preliminary round. The Netherlands beat the Republic of Ireland 2-0 at Fratton Park in Portsmouth. Meanwhile, Luxembourg dominated Afghanistan 6-0 at the Goldstone Ground in Brighton, setting their record victory in the process. Unfortunately for both teams, their success did not carry into the first round, as the Dutch lost to Great Britain in extra time, 4-3, and Luxembourg fell to Yugoslavia 6-1 despite taking the lead in the tenth minute. Great Britain advanced to the semi-finals before losing to Yugoslavia, who took silver after falling to Sweden in the final. On 25 July 1993, Bolivia handed Brazil their first-ever World Cup qualification defeat, beating them 2-0 in La Paz. Bolivia had, to that point, only participated in two World Cups (1930 and 1950), while Brazil had already won three of them (1958, 1962, 1970). 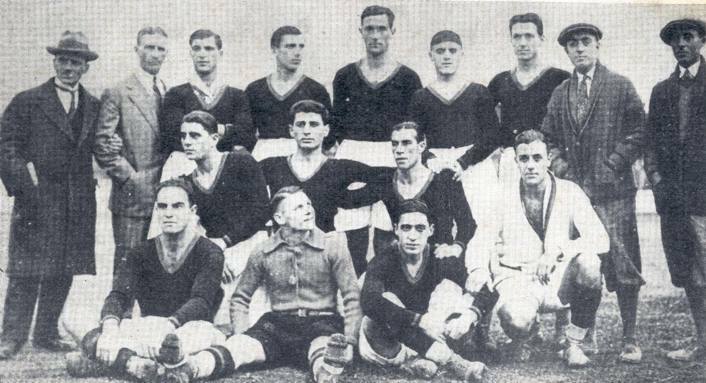 And the Brazilians had never lost a World Cup qualifier since FIFA instituted them for the 1934 tournament (though they did not play first one until 1954, having qualified automatically for the 1934, 1938, and 1950 World Cups). For the 1994 campaign, they met Bolivia at the Estadio Hernando Siles in La Paz. Situated 11,932 feet above sea level, it is one of the highest professional stadiums in the world. A crowd of 42,611 gathered for the match, which remained scoreless until the last few minutes. In the 88th minute, Bolivian midfielder Marco Etcheverry (pictured) took control of the ball near the midfield stripe, then raced down the left channel all the way to the goal line, holding off pressure from a couple of Brazilian defenders. He fired the ball across the face of the goal, where it struck the leg of goalkeeper Claudio Taffarel and deflected into the net. Brazil sent players forward in a desperate attempt to find an equalizer, but Bolivia used the space in the back to double their lead. Etcheverry sent the ball forward to substitute striker Álvaro Peña, who beat Taffarel with a side-footed shot from the edge of the six-yard box to cap the 2-0 victory. Both teams eventually qualified for the tournament, with Brazil capturing their fourth title while Bolivia exited in the first round. On 23 July 2010, the French Football Federation suspended all 23 members of their World Cup squad at the request of new manager Laurent Blanc. The sanction was a result of a player revolt during the tournament. The French campaign already looked doomed after losing their first two matches to Uruguay and Mexico, but the situation grew worse when manager Raymond Domenech sent striker Nicolas Anelka home after the player argued with him during halftime of the game against Mexico. In support of Anelka, other players in the French camp refused to train and Les Blues ended up losing to South Africa and finishing at the bottom of their group. Following the tournament, FFF president Jean-Pierre Escalettes resigned his post and Domenech was sacked. Blanc, who had recently led Bordeaux to the 2008-09 Ligue 1 title, stepped in as his replacement. he acknowledged that the federation could not condone the team's actions during the tournament and recommended a one-game ban for the entire squad. For Frace's next match, a friendly against Norway, they used an entirely different squad and lost, 2-1. On 22 July 1927, Roma held their first meeting, consolidating three previously-established clubs from the Italian capital. They have since gone on to win a total of twelve domestic trophies. The new club was the idea of Italo Foschi, who wanted to create a strong club in Rome to challenge the powerful teams from Northern Italy. He approached the city's four major teams--Alba-Audace, Fortitudo-Pro Roma, Lazio, and Roman FC--with all but Lazio agreeing to the merger. (Lazio and Roma now share the same stadium and contest the heated Derby della Capitale). They held their first official meeting in an office near the center of the city at 35 Via Uffici del Vicario, where they adopted the maroon and orange colors of the city standard and selected a wolf, taken from the legend of Romulus and Remus, as their symbol. Roma quickly established themselves as a national power, finishing as runners-up to Juventus in 1931, then again in 1936. They finally captured their first league title in 1942, finishing three points clear of Torino, but then went another forty-one years before winning their second title in 1983. They won a third title in 2001 and most recently finished seventh in the 2011-12 season. They have had more success in the Coppa Italia, winning it nine times between 1964 and 2008. On 20 July 2011, Paraguay advanced to the Copa América Final despite not winning any of their previous matches in the tournament. They didn't win the Final either, losing to Uruguay 3-0. 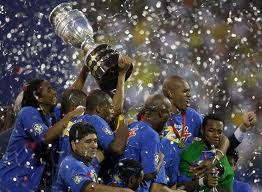 Paraguay, who won the tournament in 1953 and 1979, opened their 2011 campaign by drawing 0-0 with Ecuador. They followed that with draws with Brazil (2-2) and Venezuela (3-3) to finish third in their group. But they advanced to the knockout rounds as their three points made them the second-best third-place finisher from the group stage. In the quarterfinals, they faced Brazil again and held them to a scoreless draw through extra-time. They won the ensuing penalty shootout 2-0, but under FIFA rules, the shootout is not part of the match, which is officially considered a draw. They advanced to a semifinal rematch with Venezuela on 20 July where they again played to a scoreless draw through extra-time and advanced on penalties. The pattern failed to hold in the Final, however, played at the Monumental in Buenos Aires on 24 July. There, a goal from Luis Suárez (11') and a brace from Diego Forlán (41', 89') ensured Uruguay's victory at the end of 90 minutes. 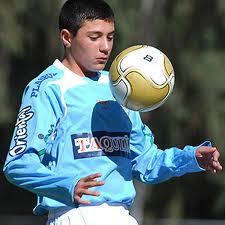 On 19 July 2009, striker Mauricio Baldivieso became the youngest professional player in South American history, making his debut three days short of his thirteenth birthday. Born in Cochabamba, Bolivia on 22 July 1996, he joined the youth side of his hometown team, Club Aurora, in 2007. After Aurora won the Bolivian Clausura in 2008, the manager, Julio César Baldivieso, who also happened to be Mauricio's father, called him into the first team for the following season. His record-breaking debut came in a league match against La Paz, with Baldivieso appearing as a late substitute. He had enough time to become involved in some fireworks, though, receiving a painful challenge from an opponent that started a brawl between the two teams, though he managed to finish the match. Baldivieso remained with Aurora for three seasons, but made only one more league appearance. In 2012, he transferred to Real Potosí, which by that time was also managed by his father. He currently plays for Club San José. Although they have yet to replicate the success of their previous incarnation, they reached the MLS Cup semifinals in 2010 before losing to that season's eventual champions, Colorado. On 17 July 2011, Japan won the Women's World Cup, beating the US on penalties, 2-2 (3-1). It was the capstone of a remarkable run for Japan, whose history in the competition included one quarterfinal appearance (in 1995) to go with four group-stage exits. But they had put the rest of the world on notice by reaching the semi-finals in the 2008 Olympics before losing to the United States. They finished second in their World Cup group to England to set up a stunning extra-time won over hosts Germany in the quarterfinals, then beat Sweden 3-1 in the semis to fix their date with two-time champions the United States. Playing before a crowd of 48,817 at Frankfurt's Commerzbank-Arena, the two teams played to a scoreless stalemate in the first half due in large part to outstanding performances from the two keepers, Ayumi Kaihori and Hope Solo. At the break, US manager Pia Sundhage replaced support striker Lauren Cheney with forward Alex Morgan, who delivered a go-ahead strike in the 69th minute. But Japanese winger Aya Miyama equalized in the 81st minute to send the match into extra time. There, the Americans again pulled ahead courtesy of a 104th-minute goal from forward Abby Wambach, but Japan again drew level, this time with an amazing strike from midfielder and captain Homare Sawa, who deflected a corner kick into the goal in the 117th minute using the outside of her foot. In the shootout, Kaihori saved two of the Americans' first three attempts, with the other going over the bar. Solo made a save of her own, so the tally was 2-0 for Japan after three kicks each. Wambach converted the next shot for the US, but central defender Saki Kumagai then beat Solo to capture the trophy. 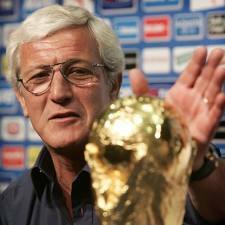 On 16 July 2004, Juventus manager Marcello Lippi took charge of the Italian national team and guided them to World Cup glory two years later. The 56-year old manager had been well-traveled, coaching eleven different teams in Italy since the start of his managerial career in 1982. But his greatest success had come with Juventus, where he won five Serie A titles, the Champions League, and the Intercontinental Cup in two spells from 1994 to 1999 and 2001 to 2004 (spending one season at Inter in between). He replaced Giovanni Trapattoni at Italy after the Azzurri suffered an embarrassing group-stage exit at Euro 2004. He quickly righted the ship, guiding them to the top of their World Cup qualification group with an impressive record of seven wins, two draws, and only one loss. They continued their impressive form in the tournament itself with a march to the final that included an extra-time win over hosts Germany in the semi-finals. In the final, they beat France in a memorable penalty shootout to claim their fourth World Cup trophy. Lippi resigned after the tournament, but was recalled for the 2010 World Cup after the dismissal of his successor, Roberto Donadoni. Unfortunately, he could not recapture the magic from his earlier spell and Italy exited the competition after going winless in the group stage, leading to Lippi's second resignation. On 15 July 2007, Brazil won their fourth Copa América with a dominating 3-0 victory over Argentina. The Brazilians stumbled out of the gate at the start of the tournament, losing 2-0 to Mexico, but rallied with wins over Chile (3-0) and Ecuador (1-0) to finish second in their group and advance to the knockout rounds, where they beat Chile again (6-1), then Uruguay (2-2 (5-4)) to reach the Final. Argentina, meanwhile, won their group with wins over the United States (4-1), Colombia (4-2), and Paraguay (1-0), then beat Peru (4-0) and Mexico (3-0) to set their date with Brazil. Playing before a crowd of 40,000 in Maracaibo, Brazil took a quick lead with a stunning goal from Júlio Baptista in the fourth minute. Elano sent a long ball forward from just inside the midfield stripe, which Baptista corralled in the Argentina box. He beat a defender, then fired the ball into the top far corner. Their second goal came in the 40th minute when Argentina's Roberto Ayala tried to reach a Brazilian cross and turned the ball into his own net. The capper came in the 69th minute, when defender Dani Alves, who had come on as a first-half substitute for the injured Elano, surged up the right flank and fired a powerful blast past Argentina keeper Roberto Abbondanzieri into the far side of the goal. 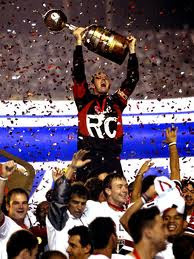 On 14 July 2005, São Paulo won their third Copa Libertadores, beating Atlético Paranaense in the tournament's first all-Brazilian final. 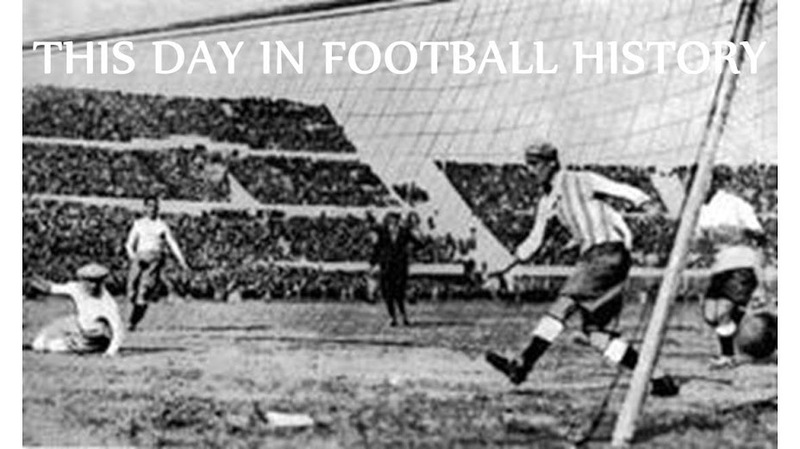 Eight days earlier, the teams met at Atlético's Estádio Beira-Rio for the first leg, where the hosts were unlucky not a claim a win. After taking a 14th-minute lead, they surrendered an own-goal in the 52nd minute to draw 1-1. But their luck was even worse in the second leg. Playing before a crowd of 71,986 at the Morumbi inSão Paulo, the two-time champions went up with a header from forward Márcio Amoroso in the 16th minute and held a 1-0 lead at the break. Another header in the 52nd minute--this time from center back Fabão--doubled the lead, then an easy tap-in by forward Luizão extended the margin eighteen minutes later. With one minute remaining, substitute forward Diego Tardelli delivered the final goal (and the final insult) when he beat a defender in the box and sent the ball toward goal where it should have been an easy save for Atlético keeper Diego Costa Silva. He was caught off-guard, though, and the ball trickled through at the near post to cap the day as a 4-0 victory for São Paulo. Not only was it the first all-Brazilian final in tournament history, it was the first one in which both teams came from the same country. On 13 July 2003, Manchester City auctioned off their Maine Road stadium in bits and pieces, raising approximately £400,000 for charity. City had used Maine Road since its construction in 1923. With an original capacity of 84,000, it set the record for a club ground when 84,569 people watched City beat Stoke in the FA Cup on 3 March 1934. It also set the club ground record for a league match, but not for City--a crowd of 83,260 saw a 1-1 draw between Arsenal and Manchester United, who were using Maine Road while repairing Old Trafford from damage suffered during World War II. But it gradually converted to an all-seater by 1994, which reduced its capacity to 35,150. 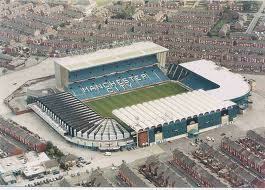 Although City considered plans to expand the stadium, they decided instead to move to the City of Manchester Stadium after the 2002-03 season. With Maine Road slated for destruction, the club held an auction for everything in the ground, including the doors, seats, turnstiles, and office furniture. They even sold the pitch itself for £10 a square foot. In all, the auction raised close to £400,000, which the club donated to charity. The stadium was demolished in 2004 and the site is now the location of a housing development. On 12 July 2009, the Chicago Red Stars beat Gold Pride 3-1 with a hat-trick--the league's first--from Brazilian forward Cristiane. It was the inaugural season for the USA's new women's league, Women's Professional Soccer. They held a draft the previous year, allowing each team to select four international players. Gold Pride took Brazilian star Formiga with the first pick and Chicago chose Cristiane with the fifth pick (Brazilian players Marta and Daniela went in the third and fourth spots, to Los Angeles and St. Louis, respectively). League play started on 29 March and Cristiane already had three goals before meeting Gold Pride at Chicago's Toyota Park. Her first goal of the day came via the penalty spot after getting fouled in the 31st minute. She got her second just before the break, taking a pass from Megan Rapinoe and beating keeper Nicole Barnhart. Gold Pride halved the deficit in the 64th minute with a penalty kick of their own, taken by Tiffeny Milbrett after a Rapinoe foul, but Cristiane restored the 2-goal margin and completed her record hat-trick just seconds later, blasting the ball into the net's top corner. On 11 July 2007, Chile banned six players for twenty games each and barred them from ever captaining the national team. The Chilean Football Federation issued the bans for conduct that occurred during that year's Copa America, but declined to describe the offenses, saying only that it was a matter of "internal indiscipline." 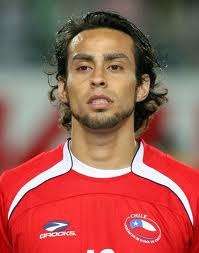 The affected players were midfielder and captain Jorge Valdívia (pictured), striker Reinaldo Navia, and defenders Álvaro Ormeño, Rodrigo Tello, Jorge Vargas, and Pablo Contreras. The announcement came the day after Chile's elimination from the tournament by Brazil in the quarterfinals, but the underlying incident took place after their final group stage match. As several players were celebrating their progression to the knockout rounds, the six players allegedly sexually harassed two waitresses at the team hotel. After the ban, Ormeño vociferously denied any involvement in the alleged activity. After serving a ban for ten of the originally-announced twenty matches, five of the six players signed a written apology and were reinstated to the national team, with Valdívia and Contreras going on to make appearances in the 2010 World Cup (Tello received a call-up, but did not play). 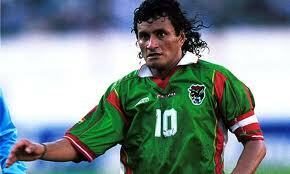 The lone holdout was Ormeño, who continued to maintain his innocence and who has never played again for Chile. On 10 July 1999, the United States women won their second World Cup, beating China on penalties and setting an attendance record in the process. The two teams had grown familiar with one another, meeting three times over the previous five years in the World Cup and the Olympics. The first two of those ended as group-stage draws (3-3 in the 1995 World Cup and 0-0 in the 1996 Summer Olympics). The third was the Olympic Final, which the US won 2-1. In the 1999 World Cup, they were two of only three teams to emerge from the group stage with wins in all of their matches (Norway was the other). China then beat Norway and Russia to reach the Final, while the US advanced with wins over Germany and Brazil. They met at the Rose Bowl in Pasadena, California, where a crowd of 90,185 gathered to watch (they were treated to the third-place match as a warm-up, with Brazil beating Norway on penalties). It remains the largest audience ever for a women's-only sporting event. The teams battled to a scoreless draw through extra-time to send to match to a penalty shootout. There, each team made their first two kicks before US goalkeeper Brianna Scurry stopped China's third shot, taken by Liu Ying, who had come on as a substitute for the shootout. After two more kicks each, the score was level at 4-4 with the US's fifth shooter, back Brandi Chastain (pictured), still to come. She drove the ball high to the keeper's left and into the net for the victory, then stripped off and her shirt and dropped to her knees in her black sports bra in what became the iconic image of the tournament. The two teams met again in the 2000 Summer Olympics group stage, playing to another draw (1-1). On 9 July 2001, Real Madrid signed two-time Ballon d'Or winner Zinedine Zidane from Juventus for a world record fee of €76M. The French midfielder had been immensely successful over the preceding years, winning back-to-back Serie A titles in 1997 and 1998 while finishing as European Cup runners-up both years (the latter one to Real Madrid). He also won the World Cup with France in 1998, which helped him win that year's Ballon d'Or. He won it again in 2000 after helping France become European champions. FIFA also named him their World Player of the Year in 1998 and 2000. After five seasons with Juventus, Real Madrid lured him away as part of their Galacticos effort, which included the previous world-record signing of Luis Figo from Barcelona for €45M a year earlier. Discussing the record transfer payment, Zidane noted "A while back I said the amount of money was enormous and that I was not worth that much. It is indeed a lot of money. I am fully aware of that and my thoughts on the matter have not changed. A new challenge is at hand. I was really in need of something different. Things came into focus today." Although the fee carried a lot of expectations, Zidane delivered with an outstanding career in Madrid, winning the Champions League in his first season, along with that season's UEFA Super Cup and Intercontinental Cup. He added a league title in 2003 and a couple of Supercopas de España in 2001 and 2003. He was also named the Ballon d'Or winner and FIFA World Player of the Year again in 2003. Despite his retirement in 2006, he remained involved with Real Madrid and eventually took over as manager in January 2016. He proceeded to win that year's Champions League, followed by a Champions League and La Liga double in 2017, his first full season in charge. On 8 July 2006, hosts Germany ended the World Cup with a win. But it was in the third-place match. The three-time champions entered the tournament as favorites, having finished as runners-up in 2002. And they lived up to that tag as one of only four teams to win all three of their first-round matches (with Portugal, Brazil, and Spain), followed by a 2-0 win over Sweden in the Round of 16 that was more comfortable than the scoreline suggested. They advanced over Argentina on penalties in the quarterfinals, but then suffered a shocking loss to Italy in extra time to drop down to the third-place game (Italy beat them 2-0 with goals in the 119th and 120th minutes). There, they faced Portugal, who had similarly needed penalties to get out of the quarterfinals over England, then fell to France 1-0 in the semis. Playing before a crowd of 52,000 in Stuttgart, the two teams remained scoreless through the first half due in part to outstanding play from goalkeepers Ricardo and Oliver Kahn. It was the first appearance in the tournament for Kahn, who had been dropped as started in favor of Jens Lehmann, but got the nod over Lehmann for the third-place match, He also took over as captain in place of the injured Michael Ballack. The Germans quickly took charge in the second half, with a brace from midfielder Bastian Schweinsteiger (pictured) (56', 78') sandwiched around an own goal from Portugal substitute midfielder Petit (60'). Portugal pulled one back with a goal from Nuno Gomes in the 88th minute and the day ended as a 3-1 win for Germany. The match was Kahn's 86th and final international appearance. On 7 July 2006, Once in a Lifetime: The Extraordinary Story of the New York Cosmos premiered in New York City. Directed by John Crowder and Paul Dower and narrated by Matt Dillon, the documentary chronicles the rise and fall of the Cosmos from their founding in 1971, through their heyday in the late '70s, to their collapse in 1984. Although Pelé, the Cosmos's most famous player, declined any involvement in the film (reportedly because the filmmakers would not pay his requested fee of $100,000), the directors did interview several other people from the club's history, including founding owner Ahmet Ertegun and a long list of Cosmos players such as Franz Beckenbauer, Giorgio Chinaglia, Shep Messing, and Werner Roth. 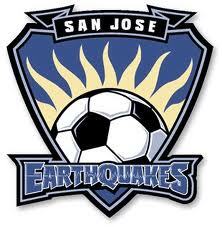 Together, they described the club's meteoric rise from NASL expansion team to a global brand, driven primarily by the signing of Pelé in 1975. After Pelé's retirement in 1977, the Cosmos began to suffer financial pressures due to dwindling crowds and the loss of monetary backing by the former parent company, Warner Communications. As the league imploded, the Cosmos tried a season of indoor football, but could not remain afloat and folded in 1985. On 6 July 1977, Li Jinyu was born in Shenyang, China. He has gone on to become the Chinese league's all-time top scorer. A striker, Li started his career with his hometown club Liaoning FC in 1999 (though he spent his first season in France on loan with AS Nancy). He stayed with Liaoning until 2003, scoring a total of 46 goals in 100 league appearances. His best season there was 2002, when he claimed the league's Golden Boot with 27 goals. Before the start of the 2004 season, he moved to Shandong Luneng, where he continued his scoring streak. In that first season, he knocked in 21 goals and claimed his first silverware with an FA Cup and Chinese Super League Cup double. After a slump in 2005 (only 17 goals), his form returned in 2006 with 26 goals, the league title, and another FA Cup. In 2007, Li became the league's all-time top scorer, beating the previous record of 96 set by Hao Haidong. Before his retirement in 2010, he extended the record to 120 goals in 251 appearances. He also added to his trophy cabinet, winning league titles in 2008 and 2010. On 5 July 1953, László Kubala made his first appearance for Spain, despite having already played for both Czechoslovakia and Hungary. 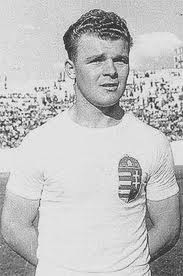 A support striker, Kubala was born in Hungary and started his career there with Ganz TE (1944) and Ferencváros (1945-46). In 1946, he moved to Czechoslovakia to play for Slova Bratislava. While there, he got his first cap, appearing for Czechoslovakia in a 3-4 win over Austria in October 1946. It was the first of six matches he played for them in 1946 and 1947. But in 1948, he returned to Hungary to play for Vasas and made three appearances for the Hungarian international team that year. He left Hungary in 1949 after it became a Communist state and eventually arrived in Spain, along with a number of other Eastern European refugees. He signed with Barcelona in 1951 and remained there for ten years. After obtaining Spanish citizenship, Kubala made his debut for Spain in a 1-0 loss to Argentina. He proceeded to earn a total of nineteen caps through 1961 and later managed the team from 1969 to 1980. On 4 July 1990, England suffered a tearful exit from the World Cup with two missed penalties against West Germany in a semifinal shootout. Playing before a crowd of 62,628 at Turin's Stadio delle Alpi, West Germany took a second-half lead with a goal from left back Andreas Brehme (60'), but England forward Gary Lineker scored an 80th-minute equalizer to send the match into extra time. The Three Lions had already had their share of late heroics, including extra-time victories over Belgium and Cameroon in their two previous matches, but they could not find one against West Germany. With neither team scoring in the extra period, the match went to penalties. After both sides scored on their first three attempts, left back Stuart Pearce sent a low ball down the middle, where it was saved by German keeper Bodo Illgner. Olaf Thon scored to put West Germany up 4-2, then midfielder Chris Waddle stepped up to the spot for England and sent his shot over the bar to end the shootout. Despite the dramatic finish, the match is widely remembered for the booking of England midfielder Paul Gascoigne (pictured) in the 99th minute. He had received an earlier yellow card in the match against Belgium, so the caution against West Germany meant that he would miss the Final if England advanced. The television cameras showed him visibly distraught with tears in his eyes, which became an iconic image of the tournament. West Germany went on to win the Final against Argentina to claim their third World Cup trophy. 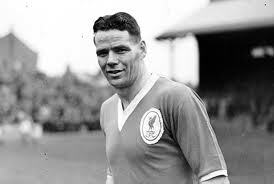 On 3 July 2001, former Liverpool winger Billy Liddell passed away at the age of 79. A Scottish international, he spent his entire career at Anfield, joining the youth team in 1938 when he was sixteen, then signing a professional contract in 1939. But the FA's suspension of league play for the duration of World War II limited his appearances to unofficial regional competitions, internationals, and friendlies until the end of the war. His official debut came against Chester City in the third round of the FA Cup in January 1946, with Liddell scoring in the 2-0 victory. His league debut came the following September as he scored twice in a win over Chelsea and he went on to help Liverpool to the league title--their fifth--that season. Liddell remained with Liverpool until his retirement in 1961, making a total of 534 appearances in all competitions and scoring 228 goals which, at the time, ranked him second on the club's all-time scoring chart (behind Gordon Hodgson at 241). He has since fallen to fourth behind Roger Hunt (286) and Ian Rush (346). 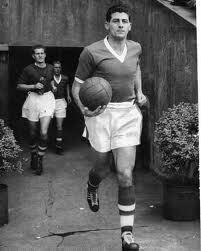 In the nine seasons from 1949 to 1958, he was Liverpool's leading scorer eight times. After his retirement, he remained in Liverpool and later became president of the Supporters Club. He was diagnosed with Parkinson's disease in the early 1990s and died in 2001. Labels: Billy Liddell, Liverpool F.C.